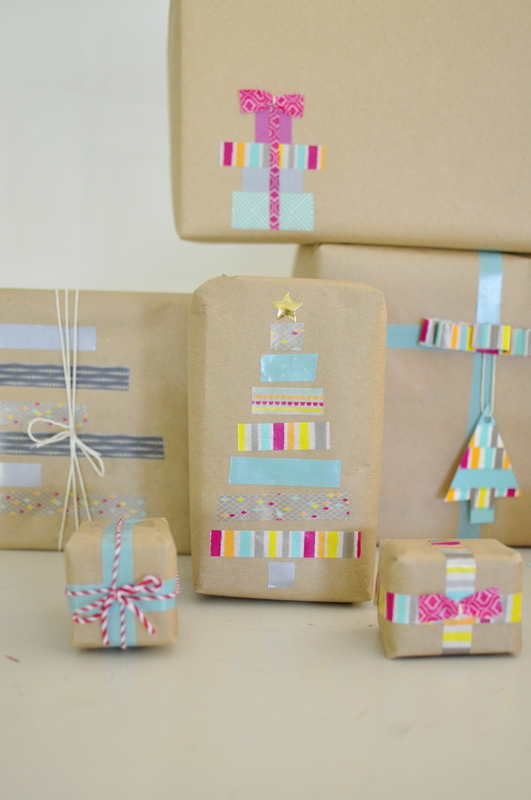 Pretty up that Christmas wrapping using cheap brown paper and a variety of decorative tape. 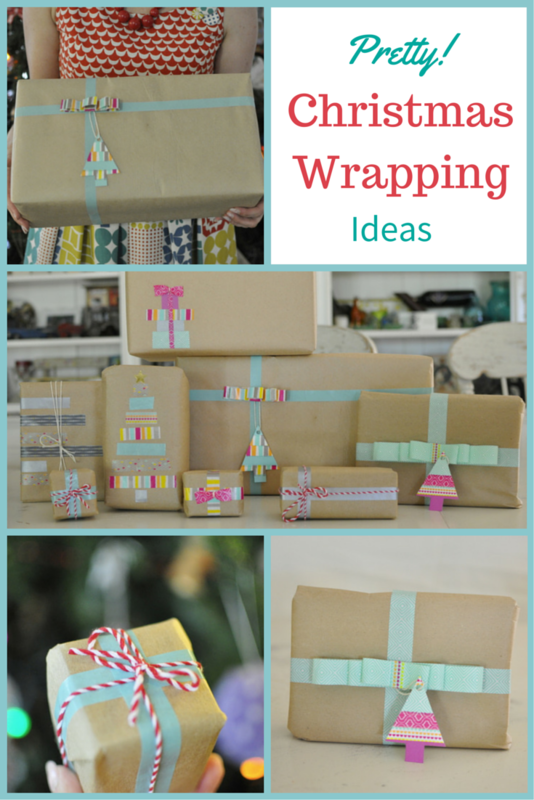 These wrapping ideas are deceptively simple and affordable, and the end product looks fantastic! 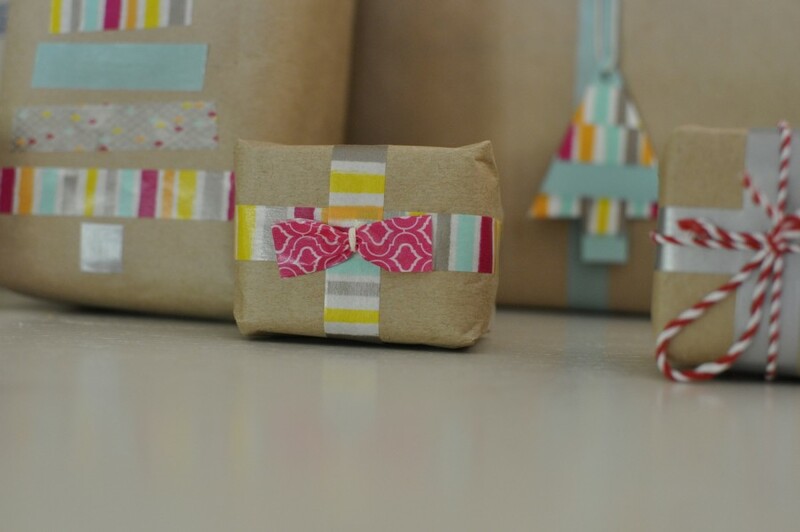 To create the bow part of the present, make a ribbon out of Scotch® Expressions Masking Tape by folding the two sticky sides of the tape together. Using this process, create three different sized ribbons, making each one a little smaller than the other. 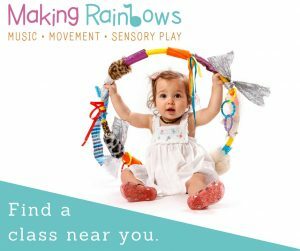 Leave a little sticky section for each ribbon as you fold it over into a circle and secure the end by overlapping the tape. Place the three ribbon circles on top of each other, starting from the largest to the smallest. Then wrap small piece of tape around the middle to hold it all together. 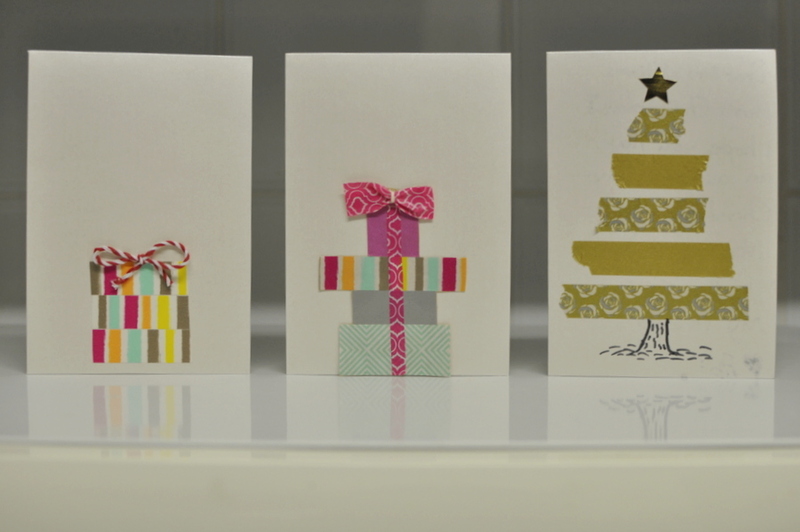 I used a small piece of Scotch® Expressions Washi Tape. 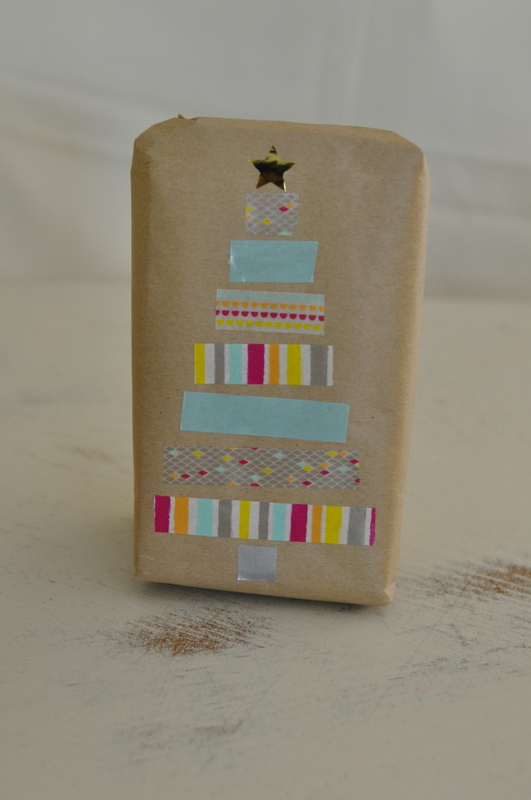 Wrap Scotch® Expressions Masking Tape around the gift. Next, either use a little craft glue or double-sided tape to fasten the blow to the top (craft glue dries quickly and it makes the bow durable). 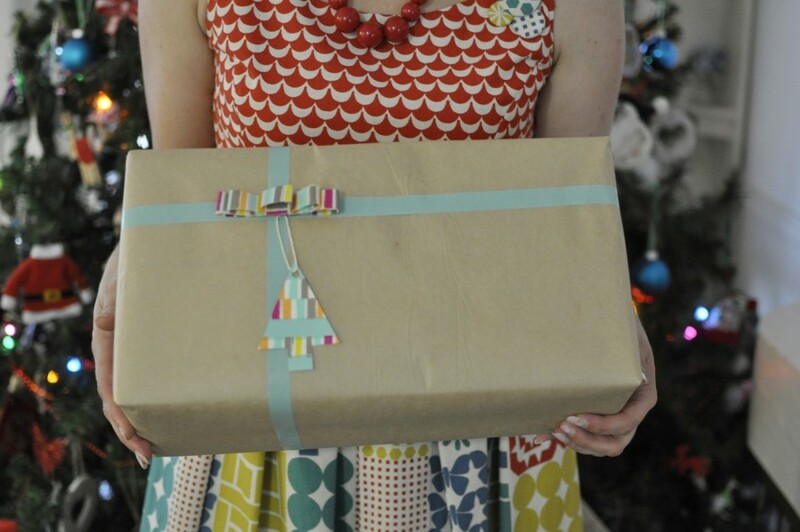 Use the same instrcutiosn of as the Big Bow expect using Scotch® Expressions Washi Tape. 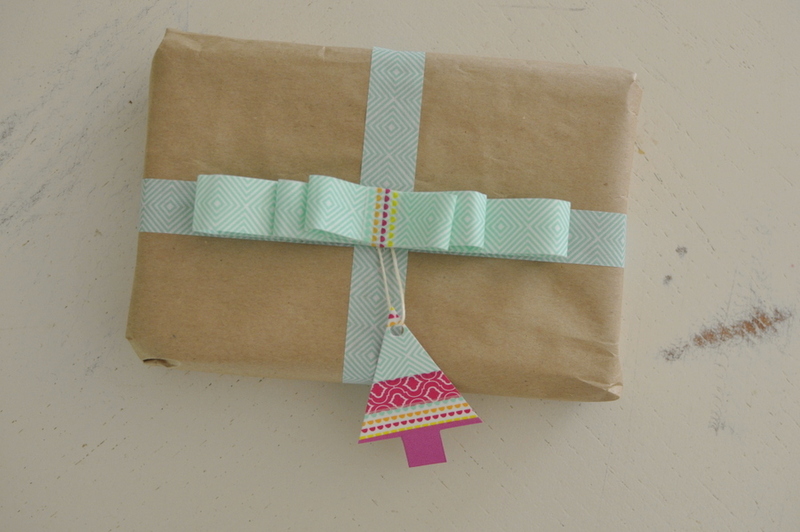 Wrap Scotch® Expressions Washi Tape around the gift before tying string. 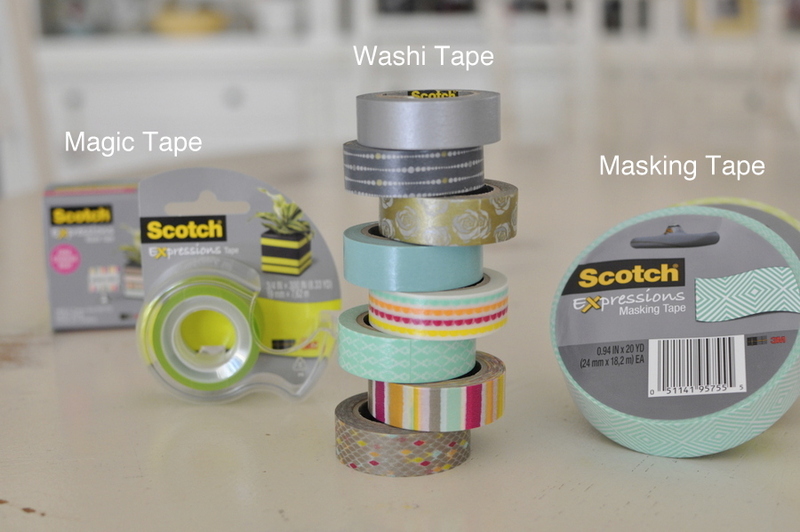 Fold a small section of Scotch® Expressions Washi Tape in half so the two sticky sides meet. 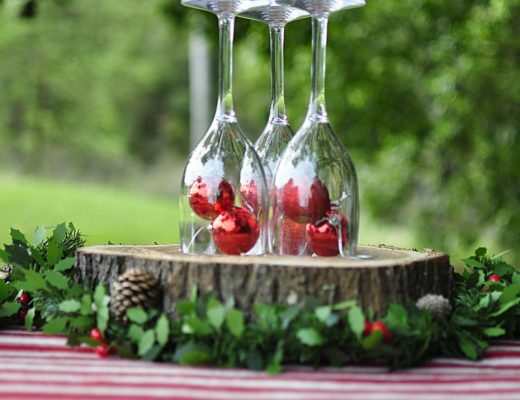 Tie a piece of twine around the middle and bring it together tightly to form a bow. 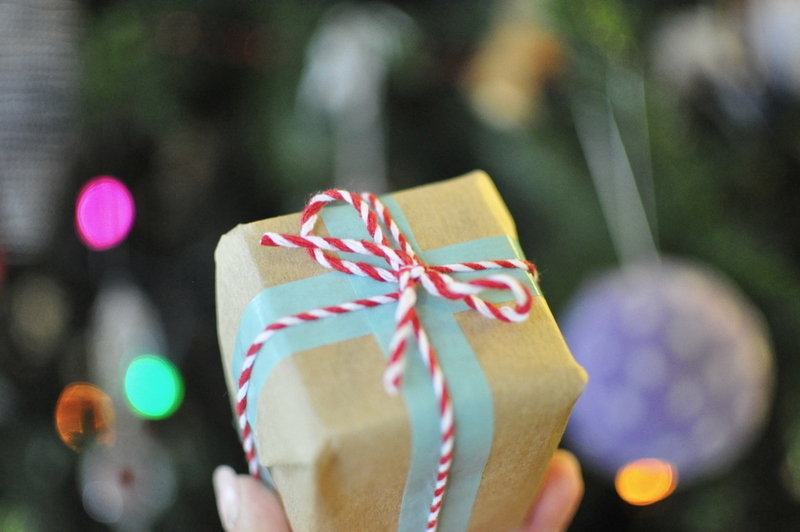 Trim string and fasten to the top of the gift with craft glue (which dries quickly and makes the gift wrapping durable) or double-sided tape. Adults (and kids) can go crazy with this tape to form all sorts of shapes and pictures on cards or gifts. Try a snowman, Christmas tree, a bow, a stack of presents (inspired by this pic), or even Santa. 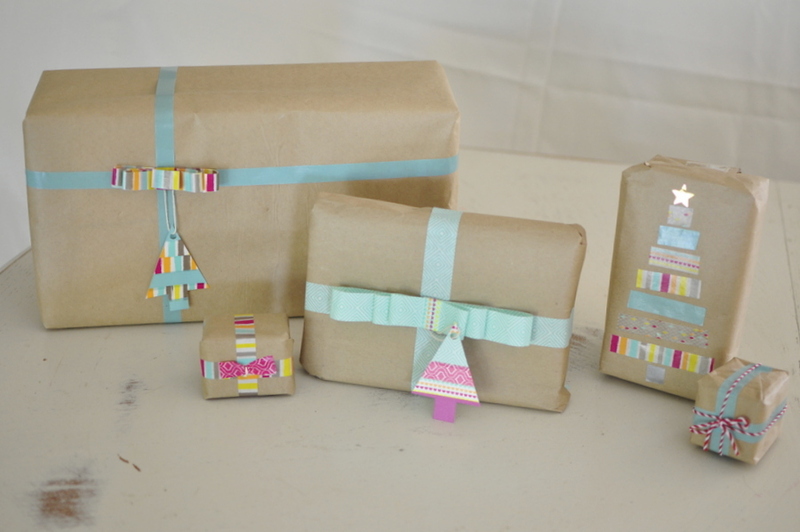 Starting from the base of the gift, lay pieces of tape down, make each one a little smaller than the other. 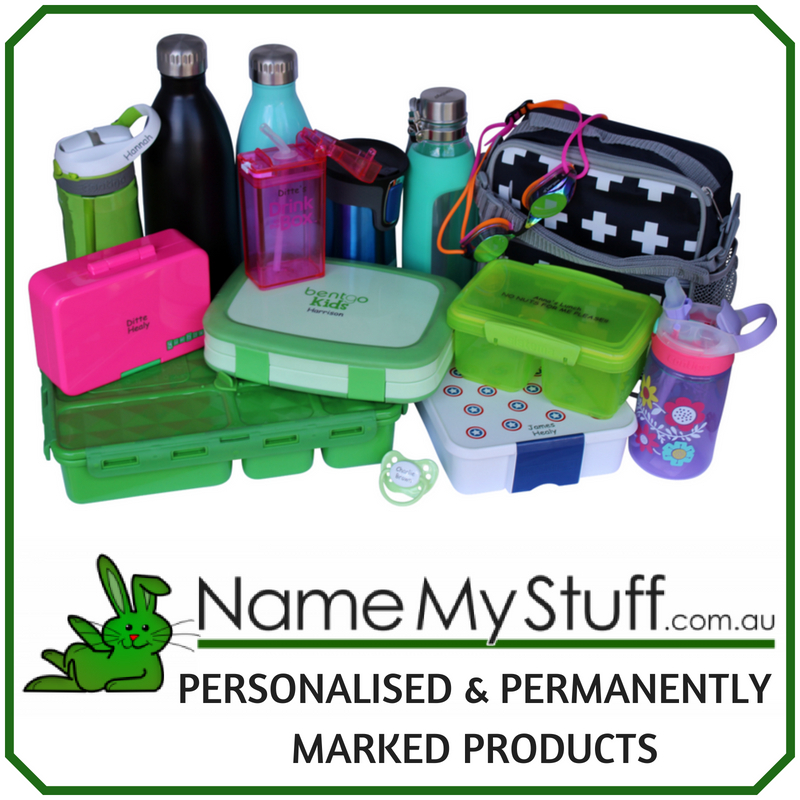 Finish off with a start sticker for the top.